Right click on the project and select Manage Nuget Packages. 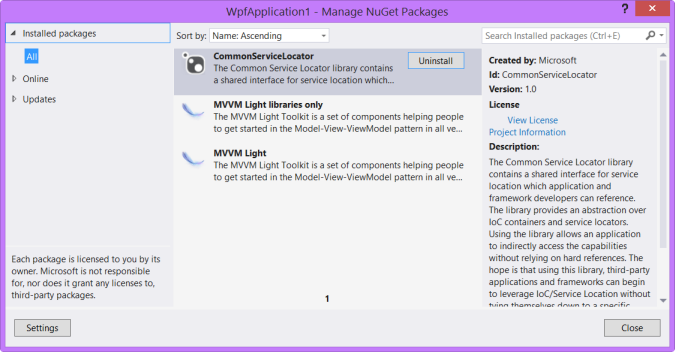 In the Manage Nuget Packages dialog, select "Installed Packages" on the right. 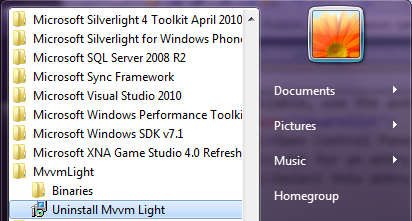 If you installed the full MVVM Light package, select "MVVM Light" and press Uninstall. 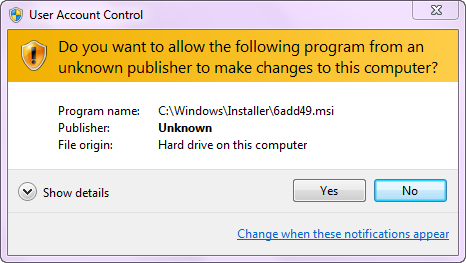 If you installed the MVVM Light libraries only, select this package and press Uninstall. In Visual Studio, select the menu Tools, Extensions and Updates. Select "Installed" on the left. This shows all the extensions installed on your machine. In the list, find MVVM Light and select it. The VSIX from Codeplex installs into the Extensions and Updates dialog too! 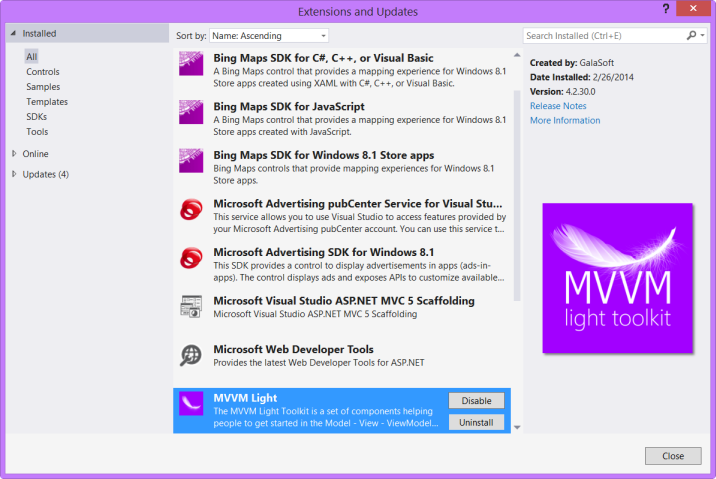 To remove MVVM Light installed from Codeplex, follow the steps described at "If you installed with the Extensions and Updates gallery (Visual Studio)". Note: The last step can take a few minutes, due to the need to have Visual Studio update itself. If like me you are a neat freak, you may want to perform a few additional steps in order to remove old files that were manually installed. Go to the download location and locate the downloaded file. Right click on the file and select Properties from the context menu. (if available) click the "Unblock" button in the General tab of the Properties dialog. Right click on the file and select "Run as Administrator" from the context menu.